The annual Bay-to-Bay Yacht Race is the premier sailing race on the Fraser Coast. 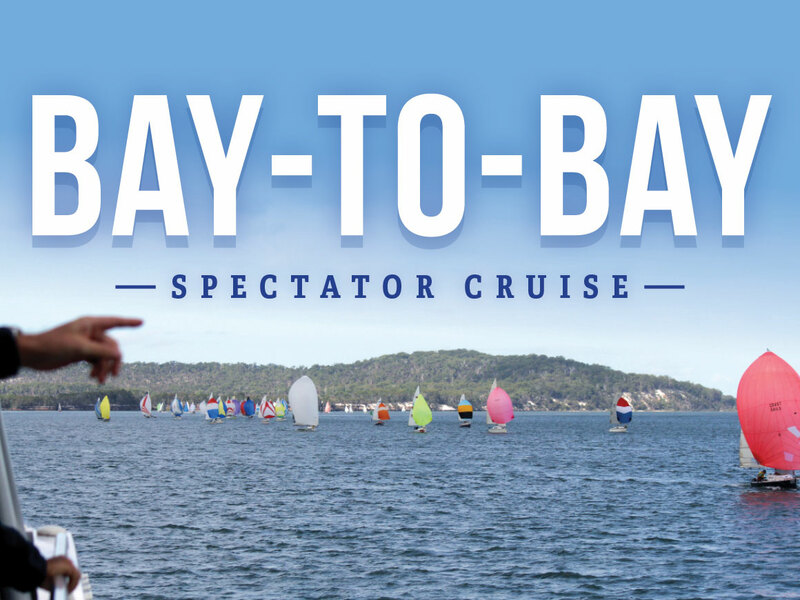 This 2 day race is a spectacular to behold as many vessels from different categories battle it out over the 87km course from Tin Can Bay to Hervey Bay. Departing from The Boat Club at 8:00am aboard the M.V. Amaroo we'll cruise along the scenic west coast of Fraser Island, through the magical Great Sandy Straights to meet the fleet at Garry's Anchorage, where the second day of racing will commence from. As the fleet navigates north to Hervey Bay we'll cruise alongside witnessing the action as crews jostle for position. With multiple categories and some truly fast single and multi-hull vessels there's always some dramatic action! Afterwards we make our way back to The Boat Club in time for lunch.